Strive Living Society is offering two day Mandt training with sign language (ASL) interpretation services during both sessions. This course is being offered to other organizations and employees who wish to obtain their certification. If you are interested in participating, please register in advance by contacting Donna at donna@striveliving.ca. The cost of attending the training is $185.00 for two days and re-certification is $92.00 for one day. We ask that you pay in advance via Paypal to confirm your registration. 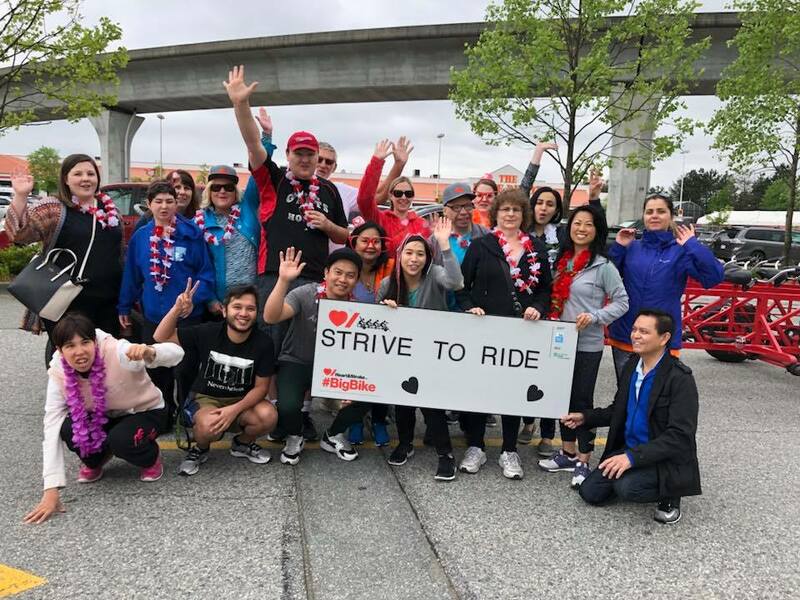 Strive volunteers, employees, and individuals will be riding the 30-person Big Bike yet again! This is our 4th year riding the Big Bike in support of the Heart and Stroke Foundation. Each charitable donation is eligible for a tax receipt. Please donate through our team page here. We have raised close to $10,000 for the Heart and Stroke Foundation since 2016. Let’s make this our best year yet! Our ride takes place on June 19th at 12 pm in Burnaby. 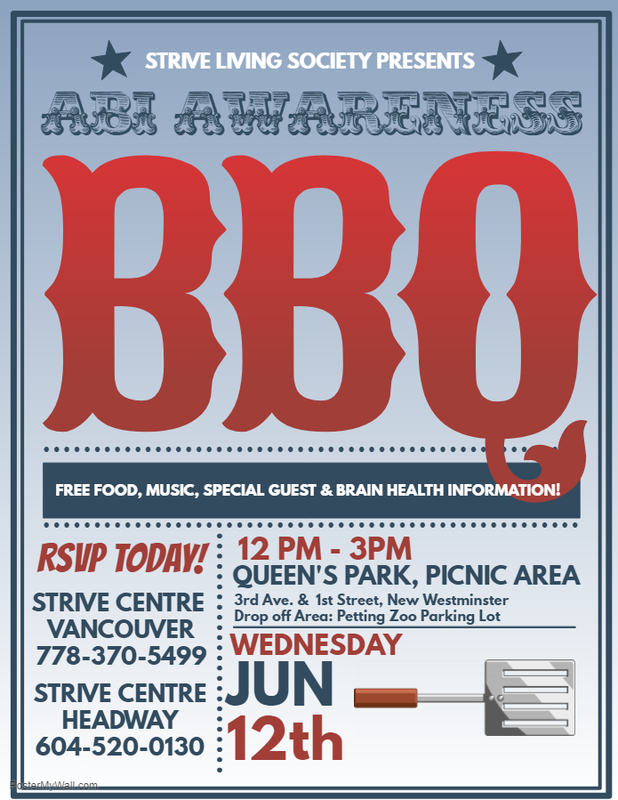 Strive is throwing its annual Acquired Brain Injury (ABI) Awareness BBQ and everyone is welcome! This event takes place on June 12th in a beautiful, spacious park. This free, inclusive, and accessible event takes place from 12 p.m. to 3 p.m. at Queen’s Park in New Westminster. Come enjoy an array of food, games, dancing, music by an awesome DJ, and guest speakers. There will also be interactive Brain Health Stations, where attendees can learn how daily activities can improve brain health and increase functioning. There will also be prizes and swag giveaways. Everyone is welcome to this community celebration, so please spread the word among your connections! RSVP today by calling Strive Centre Vancouver: 778-370-5499.